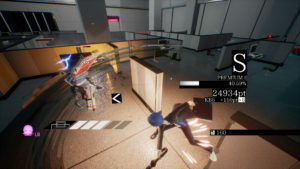 A sleek, fast-paced, beat-em up, with anime style characters and a “bit of humor,” called, “Assault Spy,” has hit Early Access this week on Steam. 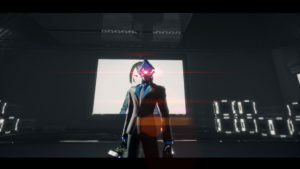 According to publisher NISA’s website, players will take the role of a corporate spy who’s attempting to uncover the dark secrets of the Negabot mega corporation while trying to save the company from a hostile takeover. There are 2 choices of protagonists to play; Asaru and Amelia. Each offer their own version of the story as well as varied playstyles. 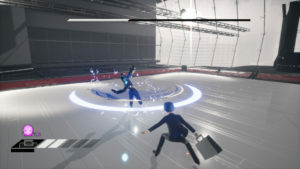 The gameplay consists mostly of dodging, dashing, blasting, and fancy combo moves. The more enemies you take out, the more moves you gain. 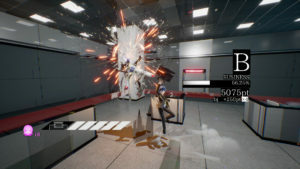 The game has gone into Early Access on Steam so that developer Wazen can get feedback on it and make it as good as it can be. So, fair warning, if you do decide to purchase Assault Spy, you won’t be playing it in its final state. Since it’s not quite complete or bug free, Wazen is offering a discounted purchase price to players, of $19.99. (Purchase for $14.99 now-July 5th). The current plan for Wazen is to gather feedback over the next several weeks and complete development in the Fall. You can read even more about Wazen’s plans on Steam. 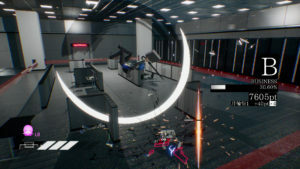 Find out more about the game on the official Assault Spy website. Watch 25 minutes of gameplay footage on NISA’s Twitch channel. UPDATE 10/2: The full game is now available on Steam for $29.99. See the new launch trailer on the NIS America YouTube channel.